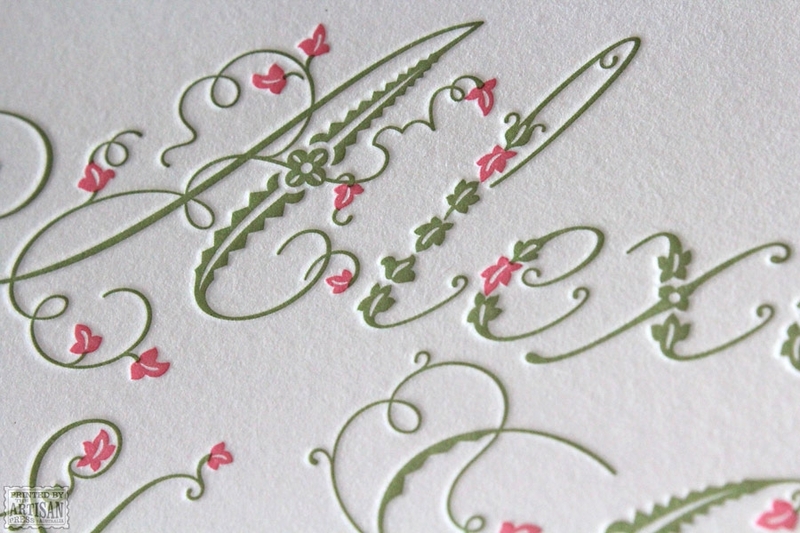 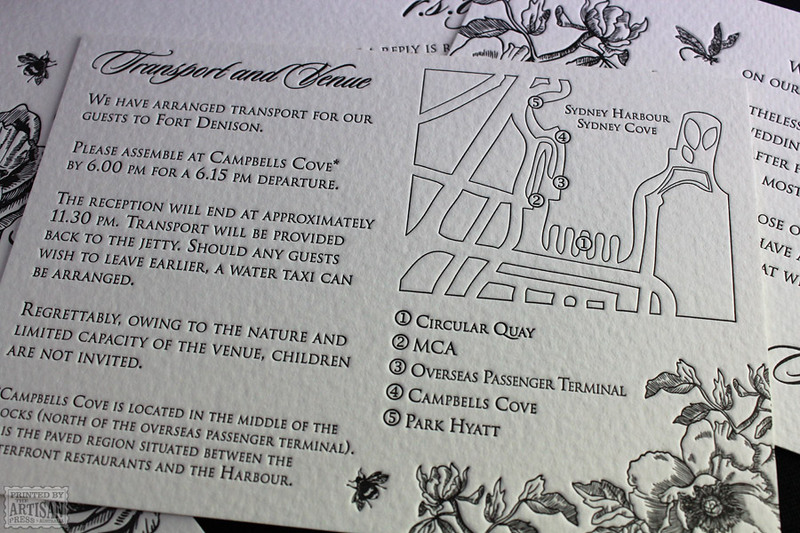 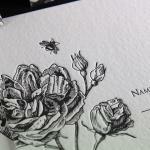 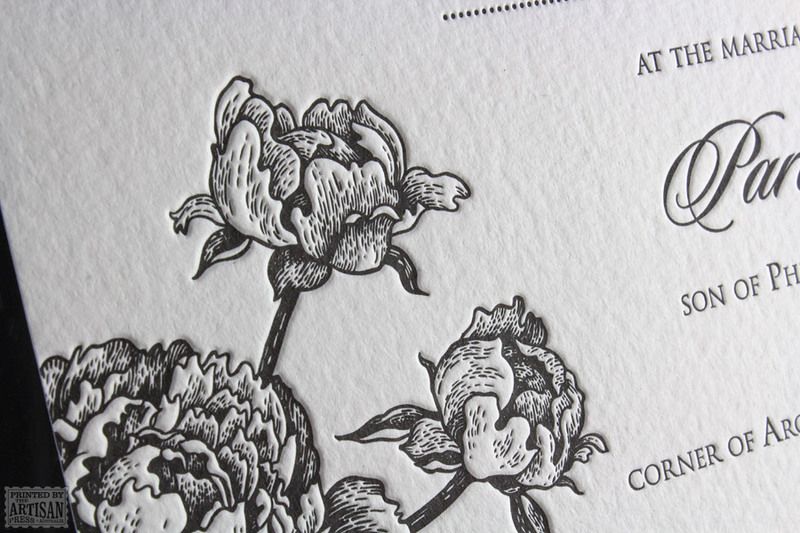 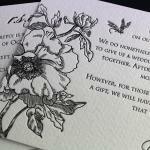 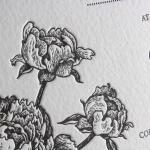 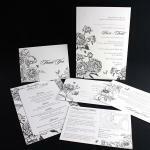 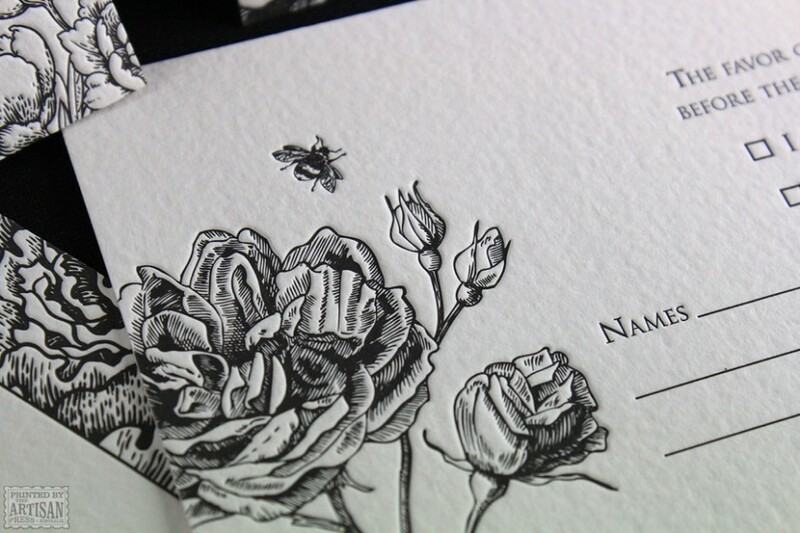 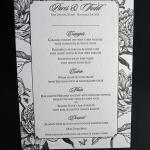 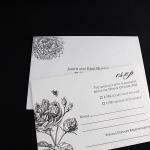 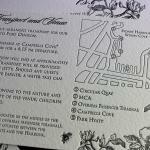 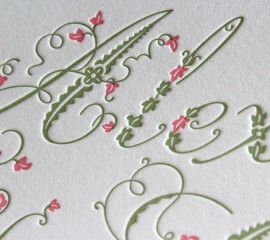 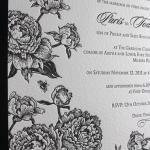 The botanical gardens of all floral letterpress wedding invitations. 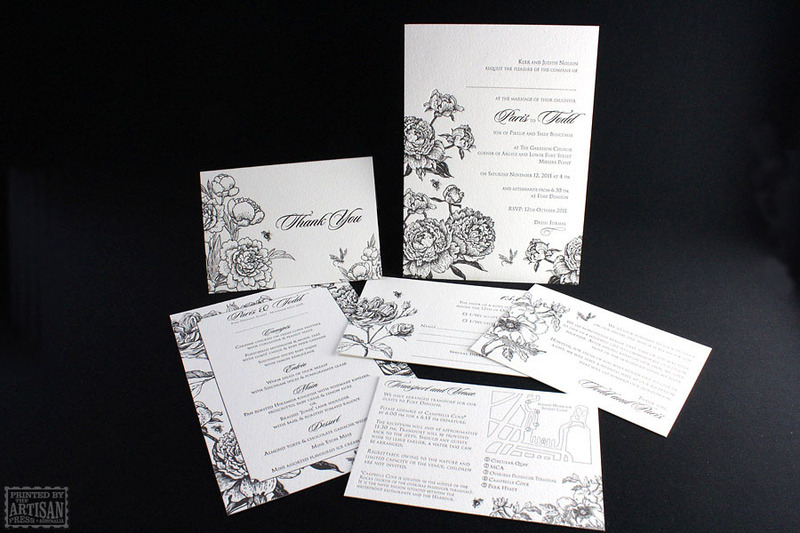 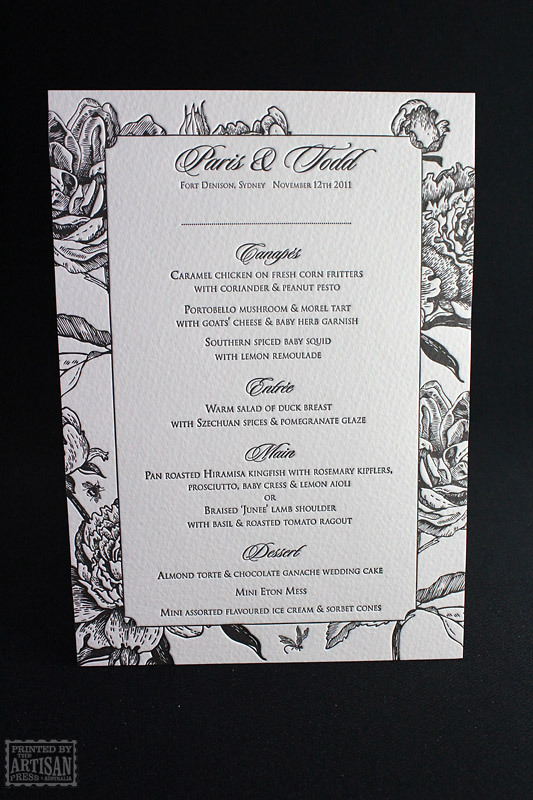 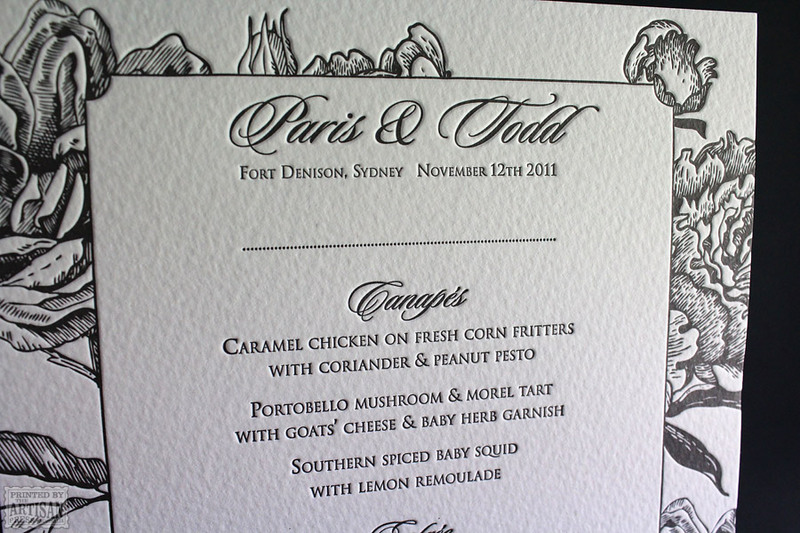 Perfect for Spring and Summer weddings, this one colour letterpress wedding suite invites you to a magical garden where elegance and sophistication flourish. 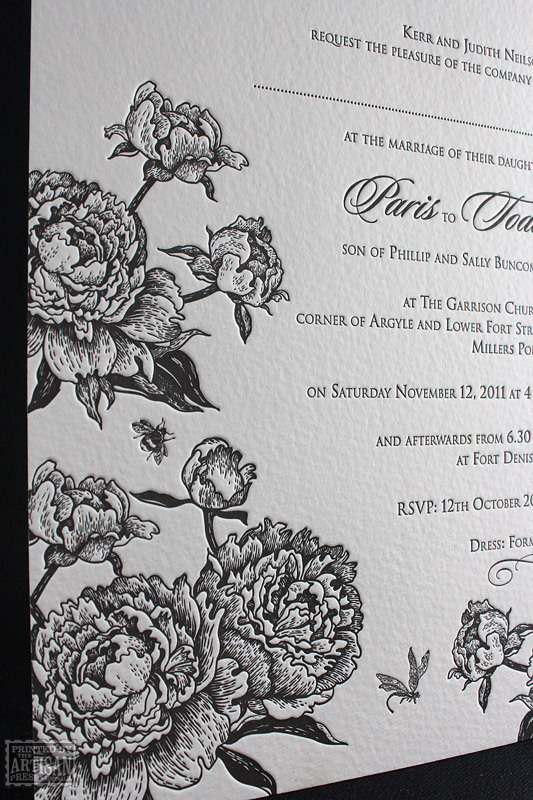 The fine line work on the text is clearly defined within heavily impressed illustrations on a heavily textured stock. 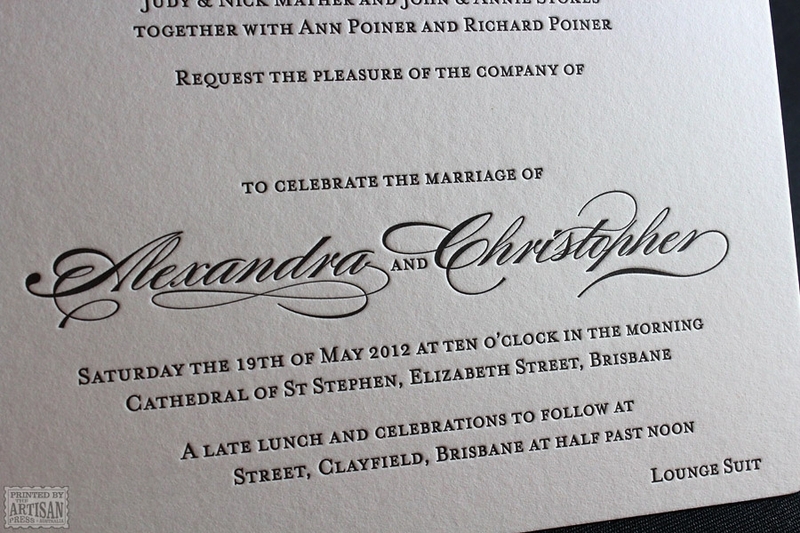 The integrity of the paper is maintained with no warping or show through and the text is crisp and clean. 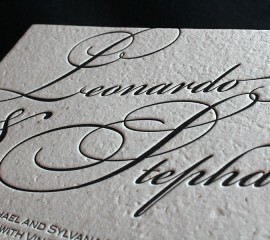 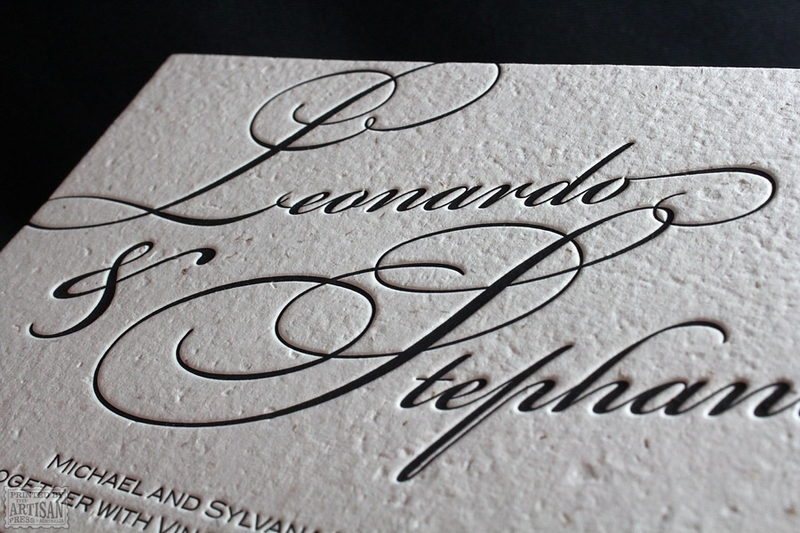 This design required a considered approach in balancing the variety of impression with the textured stock. 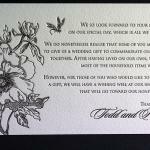 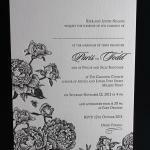 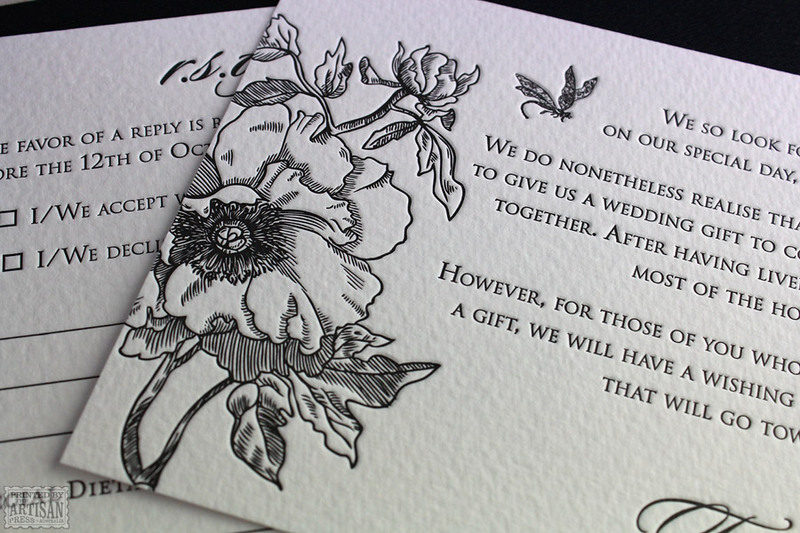 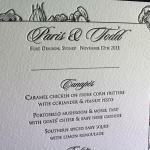 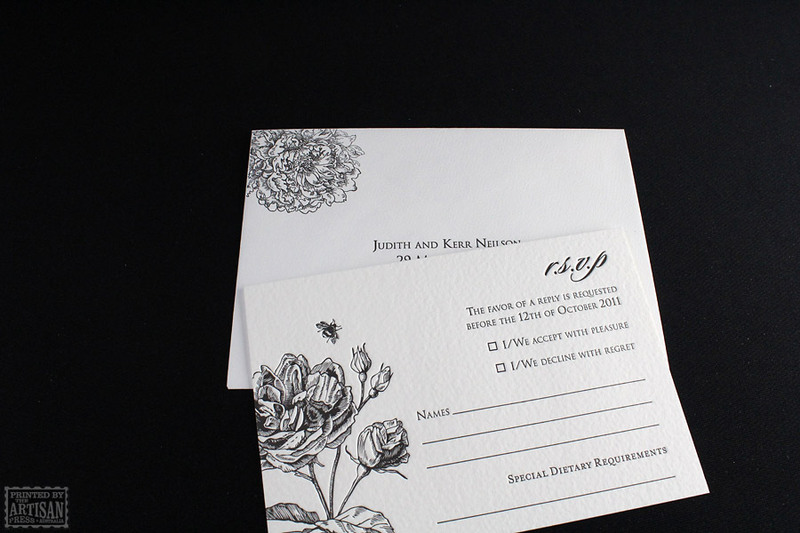 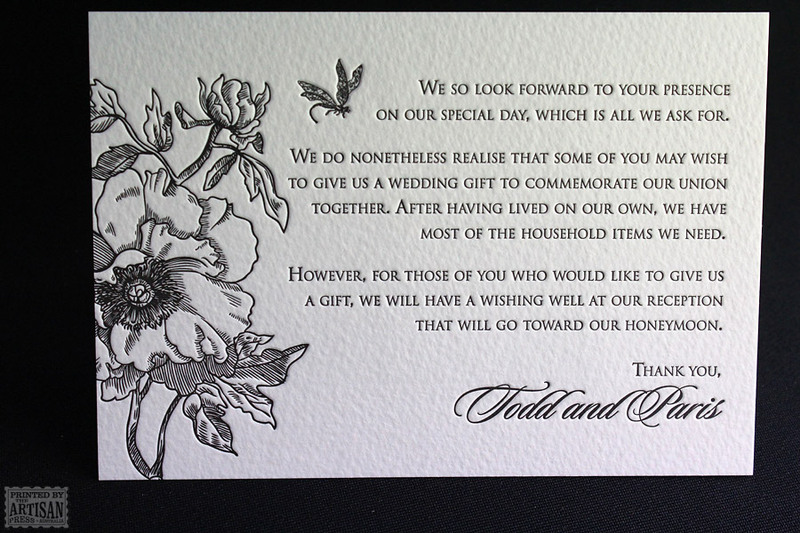 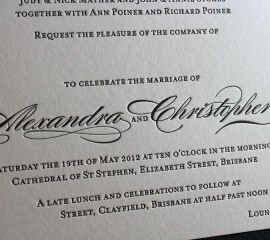 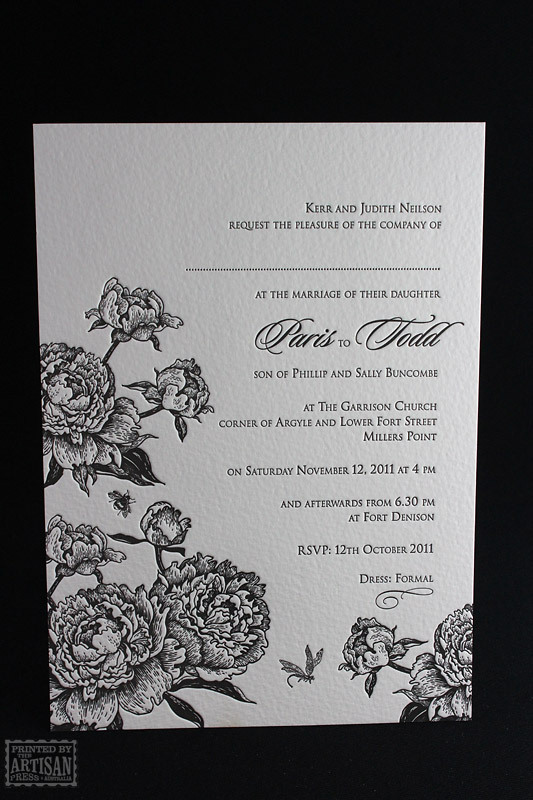 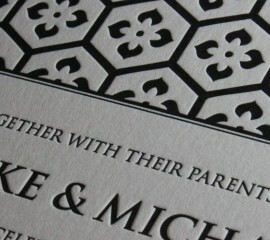 “Our invitations have just arrived, and I just had to let you know how beautiful they are! 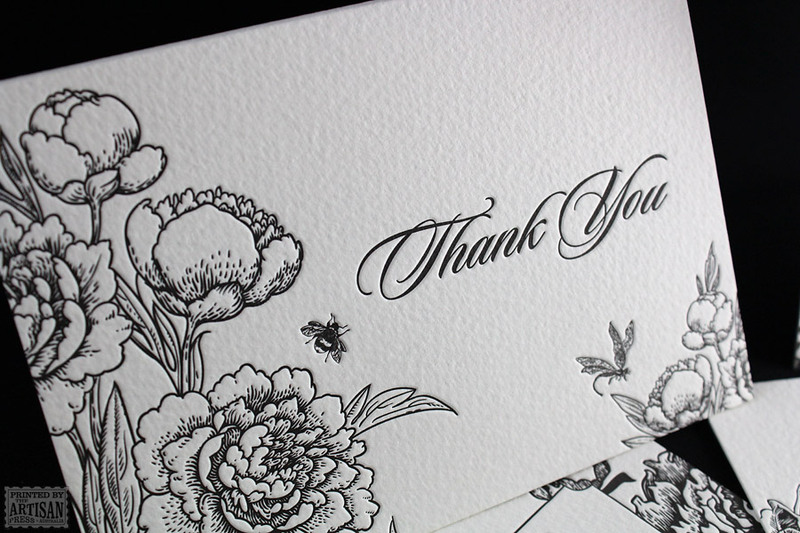 You did an absolutely brilliant job, and I am so happy with them! 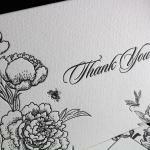 A thousand thank you’s to you both!